A whole house water purification system from RainSoft is an ideal solution for anyone who wants to enjoy crisp, fresh-tasting drinking water at the turn of a faucet. Since 1953, we have provided the very best home water purification systems to homeowners in North America and abroad, helping countless families make the most out of their home’s water. All of our drinking water systems are Tested and Certified by the Water Quality Association (WQA), ensuring that they not only meet the highest standards in water purification, but that they will perform exactly as advertised. 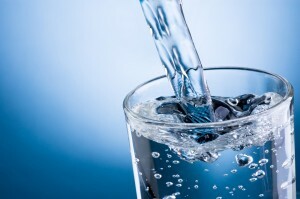 First, water is fed into a pre-filter which reduces the presence of additives such as chlorine or fluoride. The pre-filtered water is then funneled into a spiral-wound, semi-permeable reverse osmosis membrane, which removes any remaining impurities. From there, the water is sent to a storage tank, where it waits until you turn on your kitchen faucet. Then, it passes through one final post-filter before finally reaching your glass. Due to its multiple levels of filtration, the Ultrefiner II is guaranteed to provide you with crisp, clean drinking water that will not only taste great, but help improve the taste of any food and beverages you make with it. Furthermore, we’re so sure that our water purification products will stand the test of time, we back every system we sell with our comprehensive Limited Lifetime Warranty. For more information about purchasing a house water purification system for your home, contact your nearest authorized RainSoft dealer today.